Suntrip will surprise you again with the best melodic Goa trance anno 2009! This time we are proud to present the first full Goa-trance album from Radical Distortion called “Psychedelic Dreams”! Pure powerful melodic bliss! Radical Distortion are two Greek guys who are active for over four years. And they already have a strong background: Lately they became really popular and were released on almost every possible melodic Goa-trance compilation! And before that they had released the albums “Purple Energy” and “Regenesis” on Unicorn music. 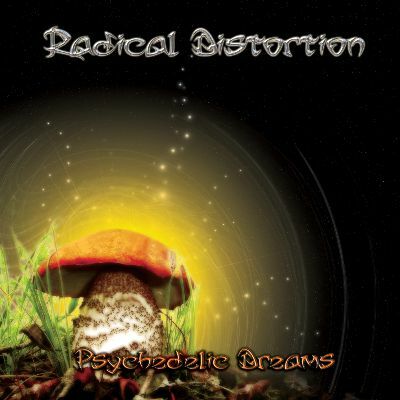 Radical Distortion’s third full length album is called “Psychedelic Dreams”. Dreams that should bring us back to the golden times of psychedelic trance which offered us so much spirit and love. No wonder you’ll recognize the influence of the best Goa trance artists from the 90’s in the 10 tracks. This album is a tribute to them!